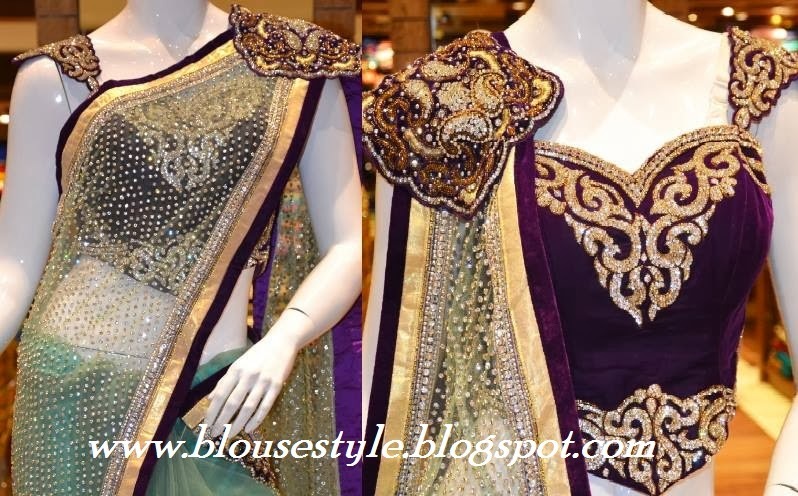 Sparkling net saree with stylish patch embroidery designs pallu and mehendhi designs strap front neck velvet blouse. 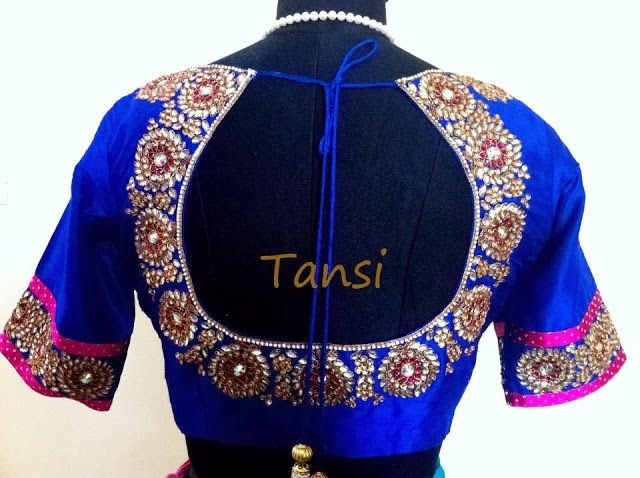 Ink blue kundhan work round neck back designer blouse. 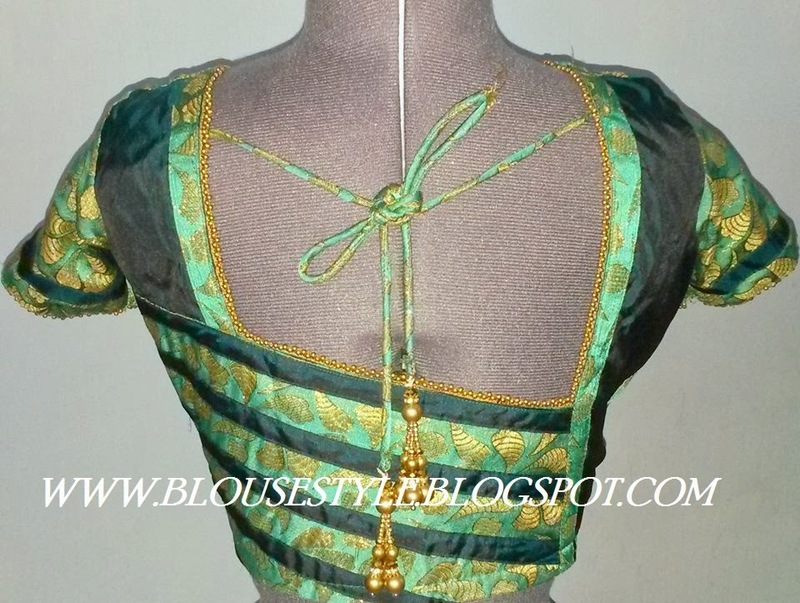 LAYERED BEADS WORK BACK NECK KNOT WEDDING GREEN COLOUR SILK BLOUSE. Black with red designer round knot type back neck blouse with short sleeve blouse.